Phishing Protection: Take It with You! Phishing protection is complex. It is not enough to simply block anything we may think is malicious, we must also educate those users who are being targeted in the first place. With this in mind, it is vital that we look at not just the protection piece of phishing but also how, and potentially more important to long term change, when. As we continue to expand the understanding of what a mobile workforce is and who it encompasses, these challenges are continually evolving and they’re not getting easier! Let’s look at why and how we can address these things. As our users become more distributed, be it enterprise or small business, the challenges we are facing mirror their distribution. We have to protect these users wherever they may be, and the where is growing increasingly diverse as our workforces continue to evolve. Some of the latest research is showing that up to 70% of our users are working remote at least once a week, and that millennials are working remotely to the maximum extent that their company allows (CNBC). The new normal of work/life balance is allowing these users to be more productive regardless of how they are choosing to work. Another report shows that in the next few years, nearly 30% of our traffic will bypass the secure perimeter in their entirety (Gartner). With all these changes in mind, how do we continue to ensure our users, customers, and data remain secure? The common denominator in all of this is the user. So how do we ensure that we protect these users? Turning this around on ourselves a bit, we should consider this from a perspective of how these users can ensure they are protecting us and our businesses. Each of these users has a huge role to play in ensuring the day-to-day safety of the business, and we have to start with the people. Creating solutions that they can take with them wherever they go is the best way to support them in this task. Ensuring that regardless of the device or location we can help them to not click on a phish or download the latest emerging threat is a great place to start. A simple, low-touch solution needs to be implemented to protect these users and your business regardless of location or circumstance. If the user is really where we are the most vulnerable, it cannot be enough to educate them on threats that are changing daily on a once-a-year cycle that is traditional in awareness training programs. We have to take the moments that are presented in their behavior to reach them where they are receptive and aware of the threat that was just prevented. Providing the just-in-time education allows us to reach those users when the content is fresh, creating a truly teachable moment that relates not just to the awareness training they have already received, but the moment that they were potentially compromised. Blocking these threats is key; teaching your users to recognize them in the moment will be game changing for their awareness in the future. 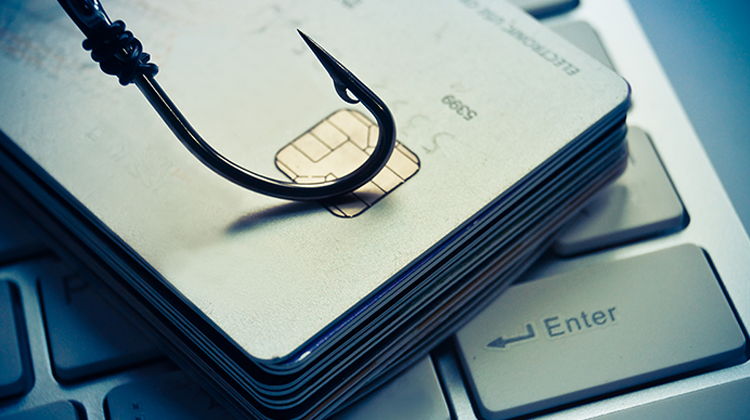 Making sure you choose the right security solution is a great step in implementing phishing protection for your company. But phishing protection alone is not enough. Education plays a big role too. To expand on that, just-in-time education during a potential phishing attempt is critical for allowing your users to learn in real time. Interested in learning more about phishing protection? Check out the WatchGuard webinar, Phishing Protection and Education – Anytime, Any Place, Anywhere, where we share best practices on how to choose a phishing solution that you can take with you. And just as important, a phishing solution that provides valuable education to all users.